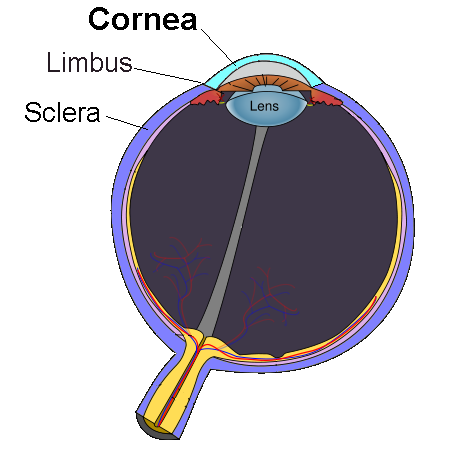 English: The cornea, as demarcated from the sclera by the corneal limbus. With corneal limbus in bolded text. With sclera in bolded text.